XAPPmedia has certainly seen demand from radio stations as the company has already launched over 200 Alexa skills for radio stations. XAPP says more are set to launch in the coming weeks. One reason is that radio stations want to quickly claim their invocation name. Like website URLs, each Alexa skill invocation name has to be unique. For the radio industry, this is particularly a problem as many stations can share similar or even identical brand names. This wasn’t an issue when they were all constrained to their local media audience. Online radio streaming changed that dynamic. Call letters for radio stations may be unique but a country station in Tulsa and a rock station in Miami could have the same brand phrase they use to market to listeners. For radio stations, being able to be found by their brand name is also important because many listeners do not know their call letters, which is the only way most stations can be correctly found on Alexa today through TuneIn according to Higbie. Similar to the rush to claim domain names during the early days of the internet, I believe we are about to see a rush from brands and media to claim their invocation names on Alexa. But unlike domain names, organizations cannot simply buy an invocation name and sit on it. 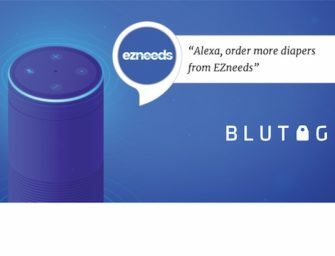 They have to launch an Alexa skill to claim it and maintain it. This is why self-service platforms like XAPP’s Voice Radio solution could be important. It allows organizations to quickly build an Alexa skill and claim ownership of their brand name on Alexa. We leverage the Alexa Skill Management API to programmatically push and publish skills all from within our self-serve voice app builder. We went from copying and pasting the information to just clicking a button within our web application. We are now able to push new skills faster and with fewer errors which leaves us more time to concentrate on building better skills. Will We See More Self-Service Options for Voice Apps? Conversation.One announced a templated, self-service Alexa skill development solution for banks in early September. With XAPP’s announcement for radio, it seems likely that we will see more self-service options targeted at industry verticals. This mirrors trends we saw for the web and mobile where early custom development work often revealed best practices that were baked into templates to simplify deployment. Skill publishers still need to think through design and there will be many more custom voice apps developed in the near-term, but the rise of self-service is likely to fuel further activity and bring more companies onto voice platforms.